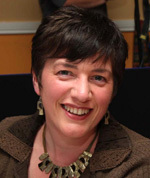 ADKC Training is an IT Training business owned by Jennie Frizelle and based in Enniscorthy, Co. Wexford. The training on offer consists of Website training and Microsoft Office training. The website training from ADKC Training gives you a good grounding in how to create and maintain your own website using Adobe DreamWeaver, how to optimise your website to maximise its visibility in the search engines (Search Engine Optimisation), how to set up and maintain Search Engine Marketing campaigns (eg. Google AdWords), and how to create and manage Email Marketing campaigns. The Microsoft Office training on offer consists of training in Microsoft Word, Microsoft Excel, Microsoft Access, Microsoft PowerPoint from complete beginner through to advanced. ECDL Training is also offered so that as well as a great course you can achieve an internationally recognised qualification. My Facebook training courses are tutor-led, with interactive exercises to get you up and running quickly. People attending the courses can bring their own laptop, and each person receives a manual to bring away with them. building a successful Facebook strategy. For more information, please contact me – info@adkcTraining.com or 087 6868410.